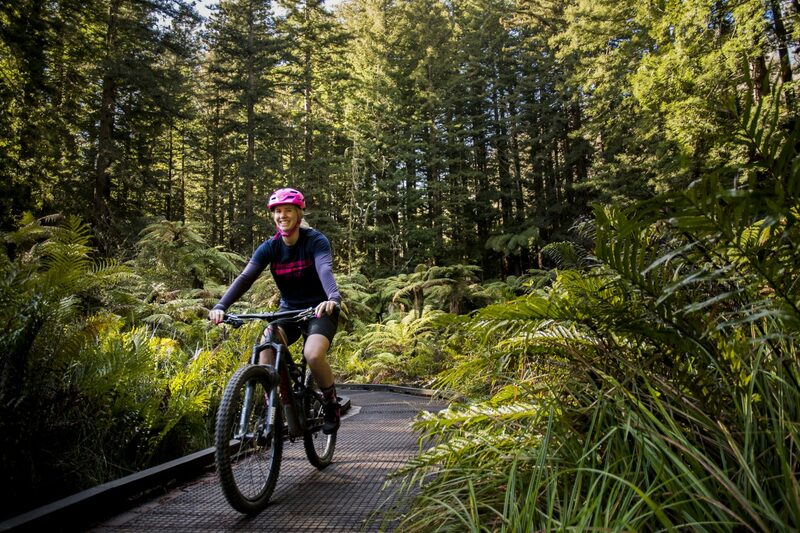 Ride the jewel in the crown of the New Zealand’s back country cycle trails. 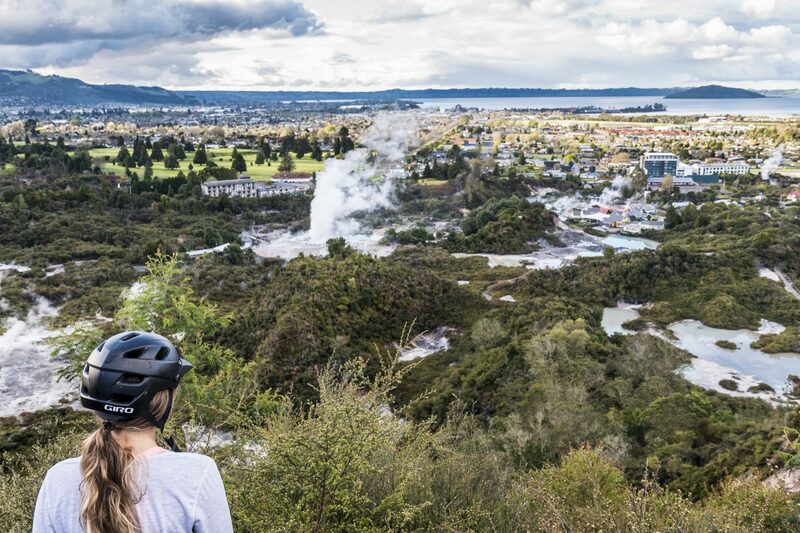 This easy 4 day cycle trail tour takes in the world class trails of Rotorua before delving deep into one of New Zealand’s most pristine forests. This e-bike tour takes the bulk of the lung and leg work out of the equation, so you can enjoy the ride and soak in one of the most beautiful forests in the world. 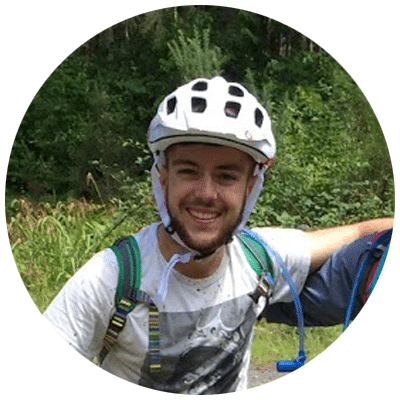 Stay in comfortable accommodation in a forest paradise, and ride with expert guides and hosts. 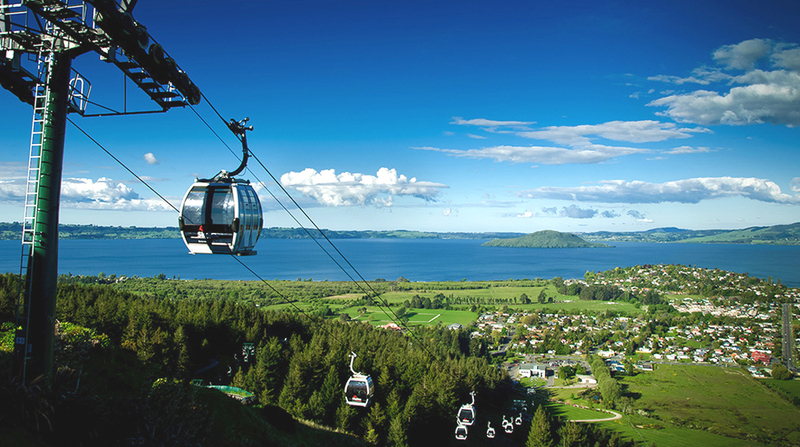 Our trip begins in Rotorua – the gateway to our volcanic region and home to some incredible cycle trails and mountain biking trails. 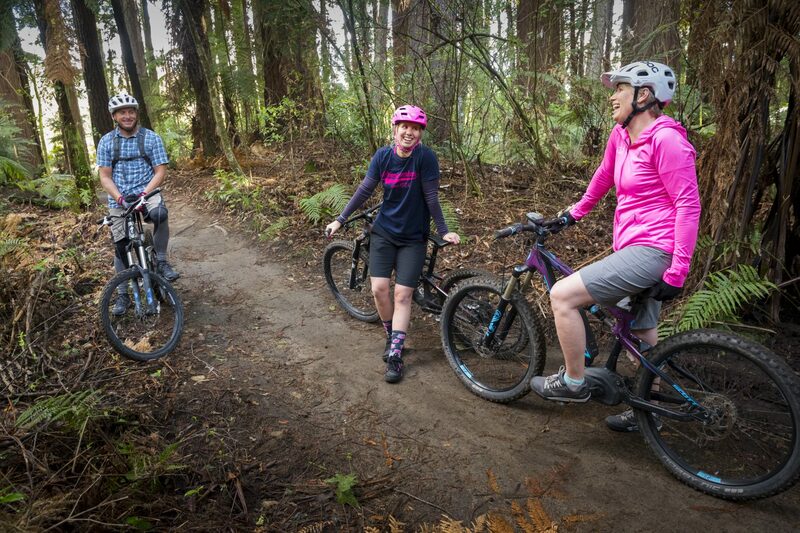 After settling in, we’ll head into Whakarewarewa forest to ride some of the smooth easy trails under the canopy of introduced Sequoia, larch and native trees and through the stunning sub-canopy native ferns. There’s a trail to suit anyone, and no biking trip to New Zealand is complete without exploring the world famous “Redwoods” trails! After our ride we’ll rest up and your guides will prepare dinner. 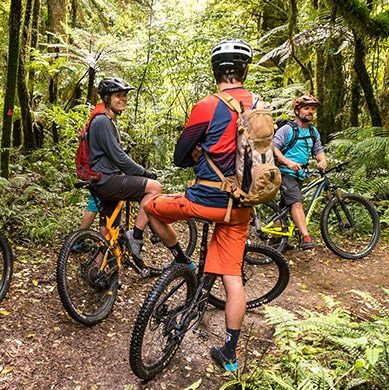 A drive south of Rotorua and through the volcanic heartland of the North Island brings us to the beginning of the Timber Trail – one of the most iconic multi day backcountry cycle trails in New Zealand. After a final thorough check of our bikes and gear, we’ll head into the wild from Pureora, through dense mossy forest on single track, crossing numerous high suspension bridges over amazing forest canyons. With our e-bike batteries turned on, we’ll start the 500 metre gradual ascent through cloud forest and mist, straight out of Lord of the Rings. 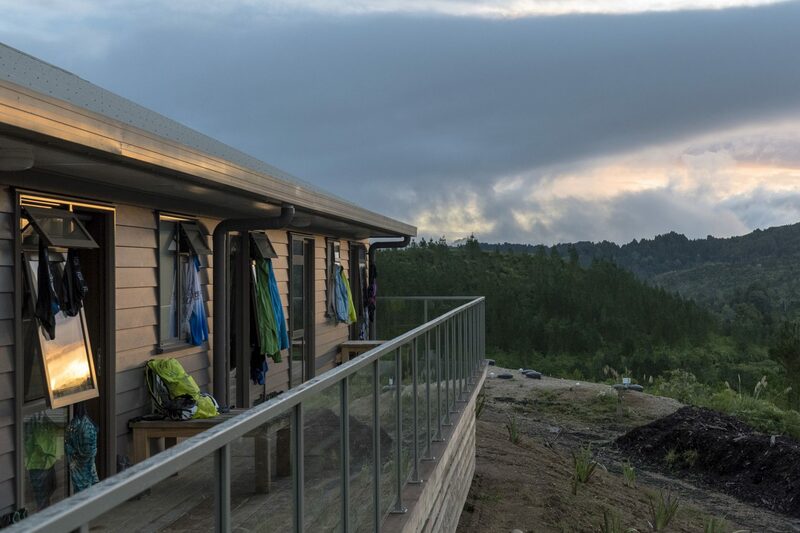 After a break at the summit of Mt Pureora taking in the epic views, it’s an equally gradual descent down to Piropiro, and our accommodation for the evening, which definitely involves hearty food, hot showers, comfortable lodging and a well deserved drink. Today is a day of undulation through amazing forest (again! 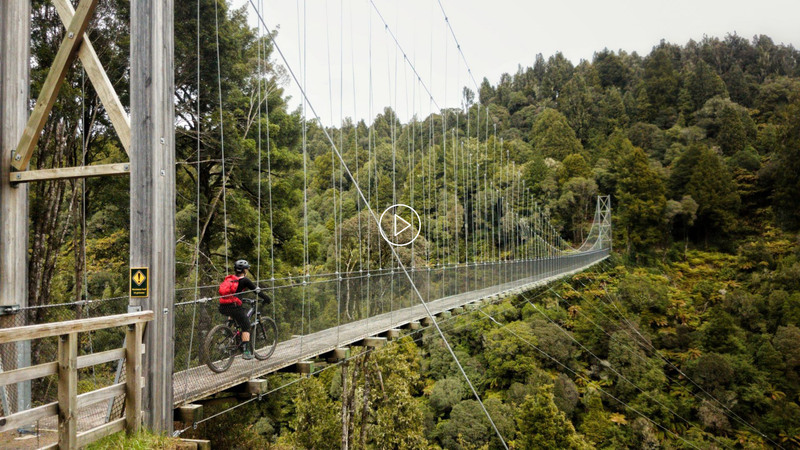 ), over spectacular suspension bridges, past weird and wonderful rock formations and remnants of New Zealand’s colonial history, and all round fun on the best cycle trail in the world. After the 5km mark, the significant uphill section is behind us (made easy on our e-bikes!) and it’s all about the gradual descent through the forest, New Zealand’s highest suspension bridge, and experiencing the only rideable railway spiral in the world – a relic of New Zealand’s early logging pioneers. At the end of our ride, we’ll head back to Rotorua. Today is the last day of your Timber Trail e-Bike Classic adventure with us. We hope you’ll have enjoyed your time here, having ridden the best back country cycle trail in New Zealand and taken in the best scenery on the planet in the process. Our specialty is first class guiding, being welcoming hosts, taking care of all the logistics and nitty gritty details, and ensuring it’s all done in style. We’ll send you home relaxed, refreshed and looking forward to the next epic ride. Included in your trip is the use of our Focus Jam 2 full suspension mountain bikes. These bikes are well maintained, will be adjusted for your height and weight, and have a battery charge of 5 hours riding. We also have back up batteries. A high quality bike to suit a high quality cycle trail! Don’t hesitate to contact us for more questions about your e-bike. Find out available space here. Resting up in comfortable lodging and surroundings at the end of a days ride is important. We don’t like to dirtbag it anymore, so neither should you. We’ve selected lodges and hotels that are rider friendly and understand the importance of a place to hang out, wash your bike, socialise and exaggerate about riding experiences at the end the day on the trail. e-Bike. We include a Focus Jam e-bike in your trip fare. All breakfasts, lunches and dinners, except for your free day in Rotorua where lunch and dinner are on you.